Here is a brief sampling of some of the numerous Colditz books and films. 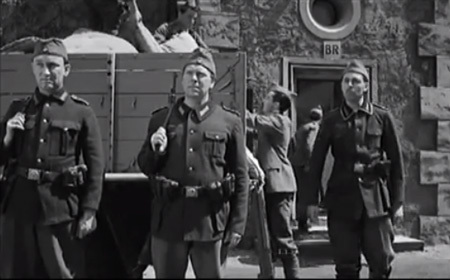 The Colditz Story was filmed in 1953, and claims to be the true story of the events at Colditz. It was based on one of the Colditz books, Captain Pat Reid's work of the same name; he also served as an adviser on the film. The film does an excellent job of evoking the dark, medieval, overcrowded atmosphere of the prison. It delivers a dramatic and entertaining account of some humorous aspects of the prisoners' lives along with several of the more exciting escapes. Some of the facts and personalities of the escapes were altered, possibly because the scriptwriters made Pat Reid the "star" of the film. The film is available from Amazon.com in Region 2 format (UK and Europe) and in Region 1 format (US and Canada) from other sellers through Amazon. It is also available for rent from Netflix.com. Another film, Colditz, was made for TV and came out in 2005, but it focuses primarily on the rivalry between two men over one man's fiancee and half of the story takes place in London. It has very little to do with the actual story of of Colditz. 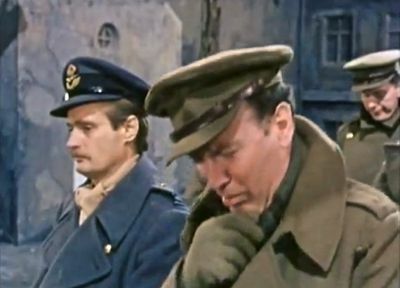 A very popular BBC television series, Colditz, was shown on British TV in 1972-1974, but only two episodes were shown in the U.S., which is probably one of the reasons most Americans have never heard of Colditz. There are so many Colditz books I'll just mention a few that I think are especially good. The Colditz Story, by Pat Reid describing his experiences; very entertaining account, tells a rousing story. Ends in October 1942 with Reid's escape. Colditz, The Definitive Story, by Henry Chancellor. Does an excellent and very thorough job of describing life at Colditz from a variety of perspectives. Collected a lot of firsthand accounts. Colditz, The German Story, written by Reinhold Eggers, the former security officer at Colditz. Interesting view from the other side. The Interrogator, by Raymond F. Toliver. The Luftwaffe had a corporal, Hanns Scharff, who interrogated the captured fighter pilots. He was so skilled at questioning the prisoners that he got almost every one to give him information. And he did it using a combination of kindness and deception. After the war, the U.S. military invited him to the U.S. to study his methods. This is an amazing story, told mainly in Scharff's quaint style.